With Glittering Eyes: (24!) Baptisms at the Lake. (24!) 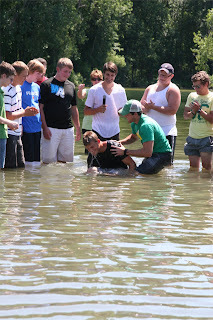 Baptisms at the Lake. I think it's easy to forget that Jesus Christ still transforms lives. But, I don't always see it in todays Christianity. It's easier to see the broken instead of the redeemed. The bad and not the good. The apathetic and not the passionate. The hurt and not the healed. 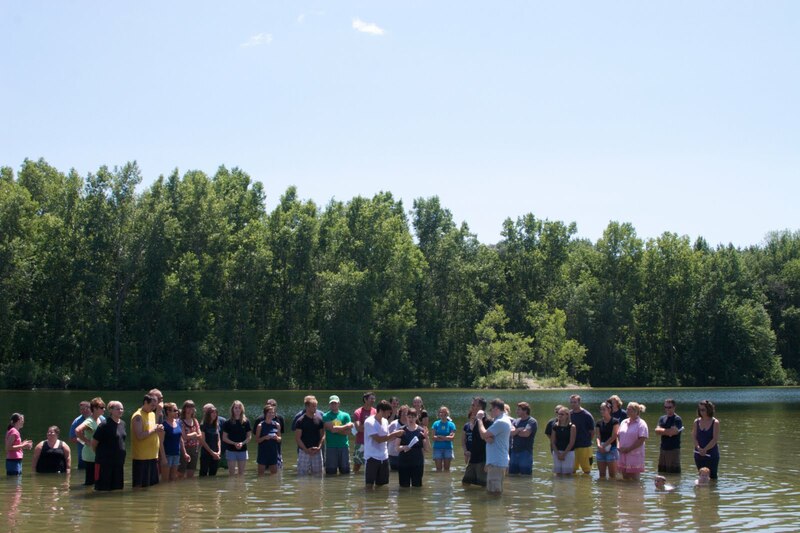 Every summer, our church (Impact) has their annual "Baptisms at the Lake". 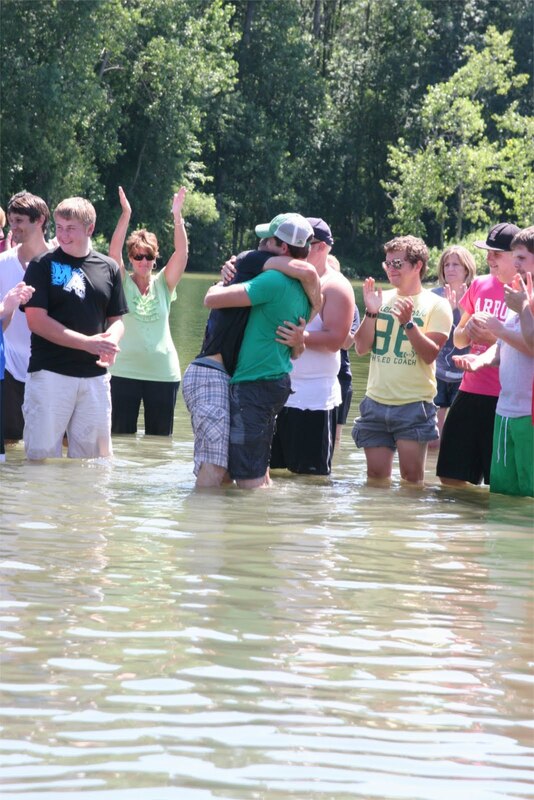 This year, the baptisms were actually in Lowell at a small lake right in town. Twenty-four people were baptized, full submersion, in front of a couple hundred friends from our church. 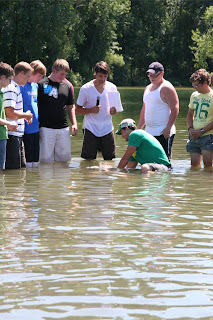 Josh had the honor of baptizing one of our teens. A young man he has been working with and praying for for several years now. 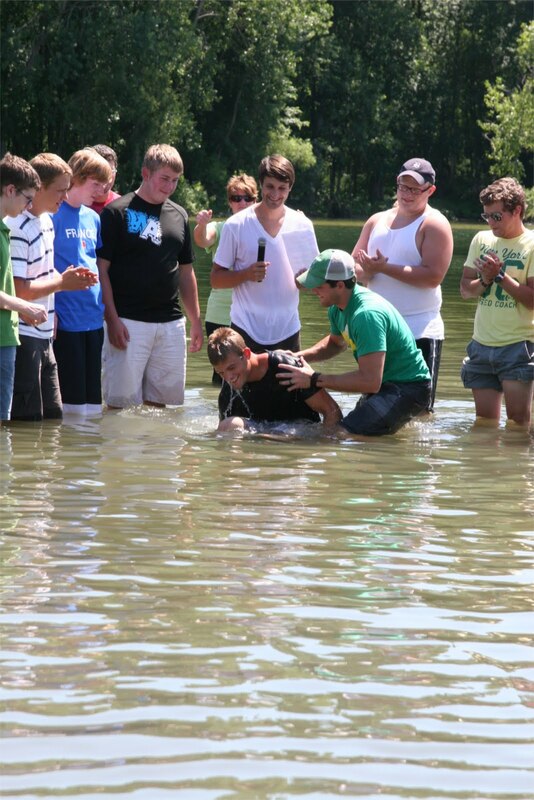 Who decided to fully give his life to Jesus and show the outward expression of it through baptism. 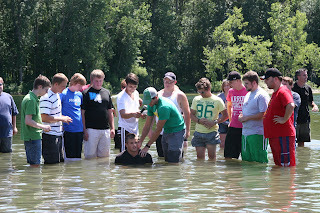 Here are some pictures from the shore as well as a link to a video of the baptisms that our friend Dave put together. I hope you enjoy them, and that you are encouraged to know that Jesus Christ still changes lives! What a beautiful day. What a beautiful expression God gave us to show how we are washed clean of our old lives and born again into a new life with him. My church goes camping over Labor Day weekend every year up in WI. 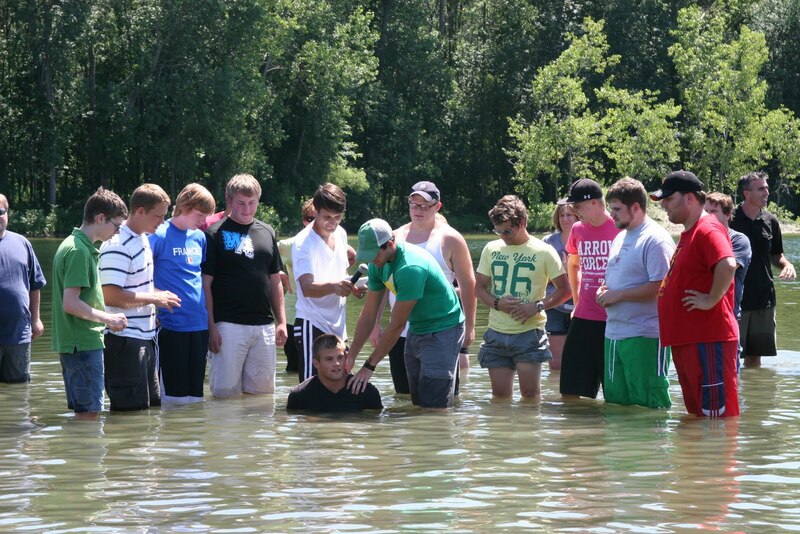 On Sunday, after the message, everyone goes out to the lake and anyone who wants to get baptized can come forth. It's an amazing way to end an awesome weekend of fellowship! I started to tear up when I saw the last picture.